Victory FC 60: Kapel vs Nowaczyk from 4/14/2018. 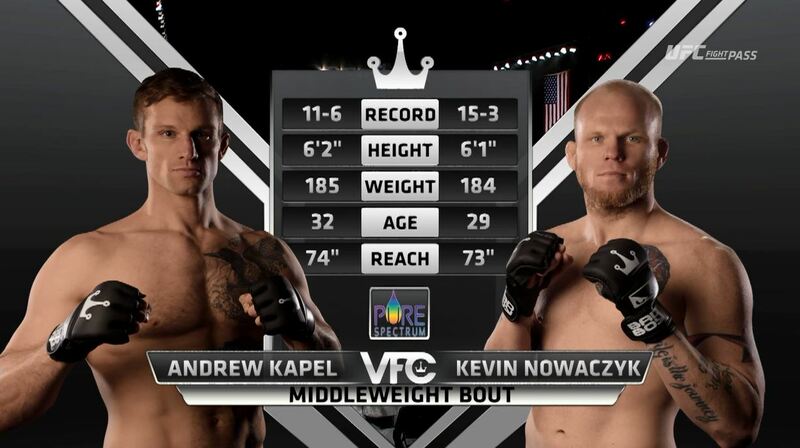 Andrew Kapel vs Kevin Nowaczyk Victory FC 60 Apr 14, 2018 (27:12) Andrew Kapel vs Kevin Nowaczyk Victory FC 60: Kapel vs Nowaczyk from April 14, 2018 in Hammond, Indiana. 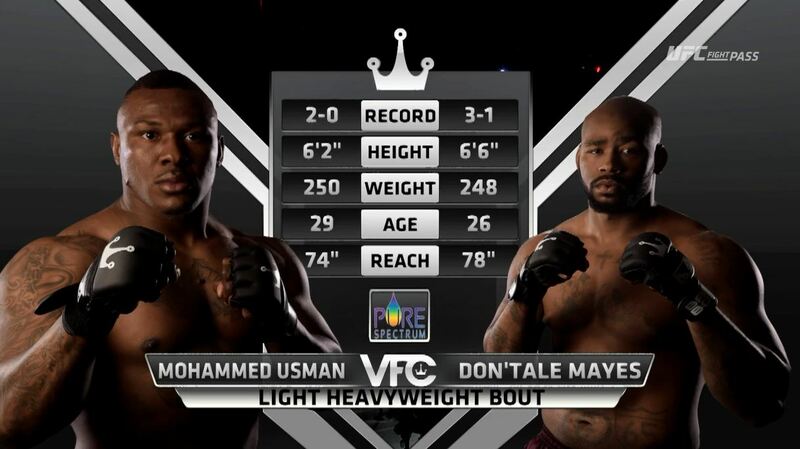 Don'Tale Mayes vs Mohammed Usman Victory FC 60 Apr 14, 2018 (26:01) Don'Tale Mayes vs Mohammed Usman Victory FC 60: Kapel vs Nowaczyk from April 14, 2018 in Hammond, Indiana. 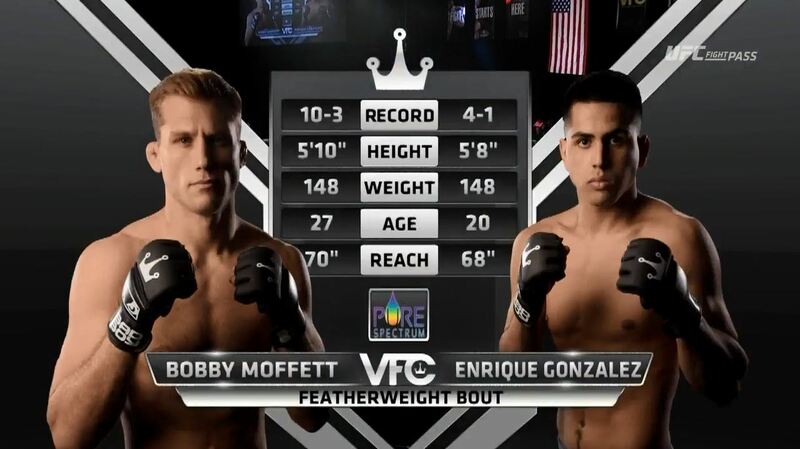 Bobby Moffett vs Enrique Gonzalez Victory FC 60 Apr 14, 2018 (22:15) Bobby Moffett vs Enrique Gonzalez Victory FC 60: Kapel vs Nowaczyk from April 14, 2018 in Hammond, Indiana. 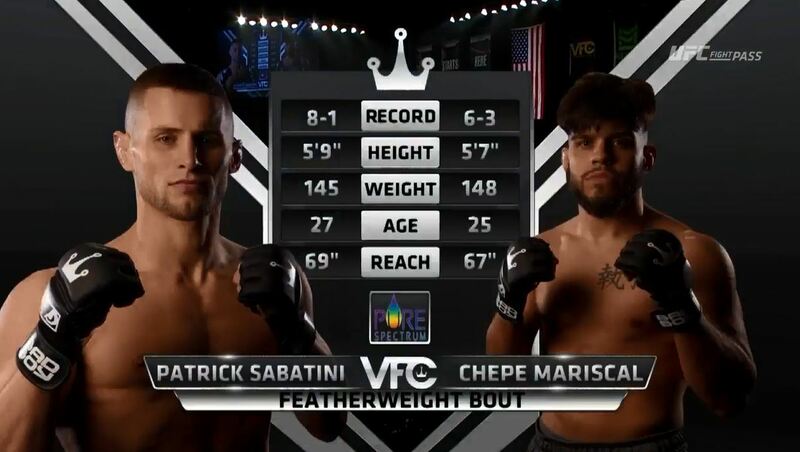 Jose Mariscal vs Pat Sabatini Victory FC 60 Apr 14, 2018 (23:08) Jose Mariscal vs Pat Sabatini Victory FC 60: Kapel vs Nowaczyk from April 14, 2018 in Hammond, Indiana. 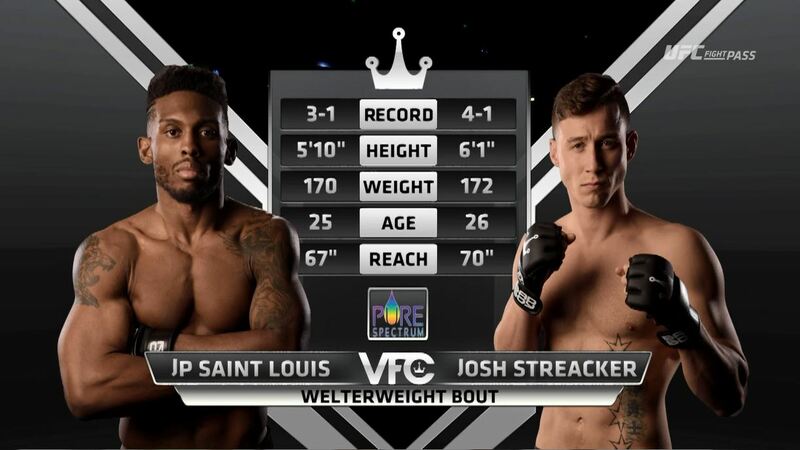 Josh Streacker vs J.P. Saint Louis Victory FC 60 Apr 14, 2018 (15:03) Josh Streacker vs J.P. Saint Louis Victory FC 60: Kapel vs Nowaczyk from April 14, 2018 in Hammond, Indiana. Zach Fears vs Tim Cho Victory FC 60 Apr 14, 2018 (22:59) Zach Fears vs Tim Cho Victory FC 60: Kapel vs Nowaczyk from April 14, 2018 in Hammond, Indiana. 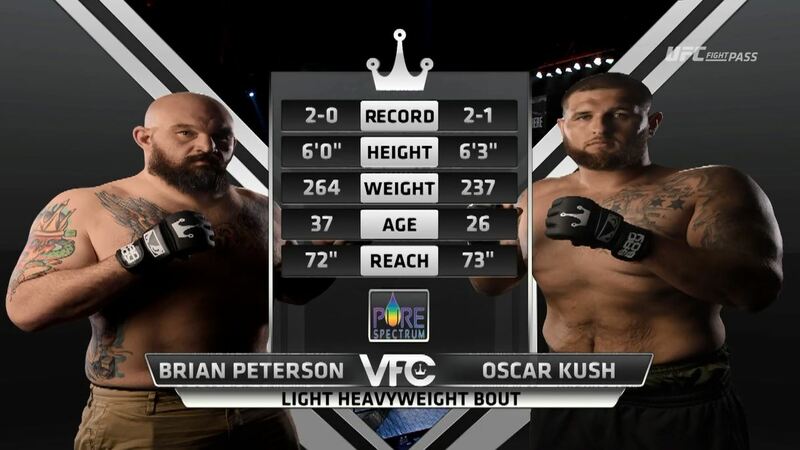 Brian Peterson vs Oscar Kush Victory FC 60 Apr 14, 2018 (23:02) Brian Peterson vs Oscar Kush Victory FC 60: Kapel vs Nowaczyk from April 14, 2018 in Hammond, Indiana.